The Mogrnsern-Bohannon 'Contemporama' model (here from San Mateo's Hillsdale Highlands, September 1956) looked much like the Sunset Terrace homes. Mogensen spec home rendering from the mid-1950s showed considerable modern flair. Many of Mogensen's interiors, like those at Sunset Terrace, used Philippine mahogany paneling and featured a fireplace surrounded with a boxy frame, a Mogensen touch. Bohannon and Mogensen won much praise and several awards for the homes they turned out throughout the 1950s. "Bohannon, Eichler win recognition," a local paper reported in late 1955 following House & Home magazine's 'Hall of Fame' awards. The Bohannon prizewinning home, in Westwood, won attention in part for its 'reversed' living room—so-called because the glass looked out at the rear yard, not the front. The San Francisco Chronicle mentioned the contribution of Mogensen, "who has done some prizewinning work on his own account." A home Mogensen designed in nearby Westwood Oaks, won a similar award from American Home magazine. "Santa Clara home said year's best," the San Francisco Call-Bulletin headlined in 1957. Mogensen's prizewinner, built in 1955, was described by the Chronicle as "a home women designed," because Mogensen had incorporated feedback from the recent Women's Congress on Housing. "After all," the Chronicle reported, "women spend most of their time (even today) in the home, and few experts had ever bothered to consult women before designing a home." Mogensen's feminine-pleasing touches included a combination family room and kitchen, large glass panels for indoor-outdoor living, and "zoning for quiet," with an outdoor courtyard—not unlike the Eichler atrium in concept—bordered on two sides by the walls of the home and on a third by either a detached or attached garage. 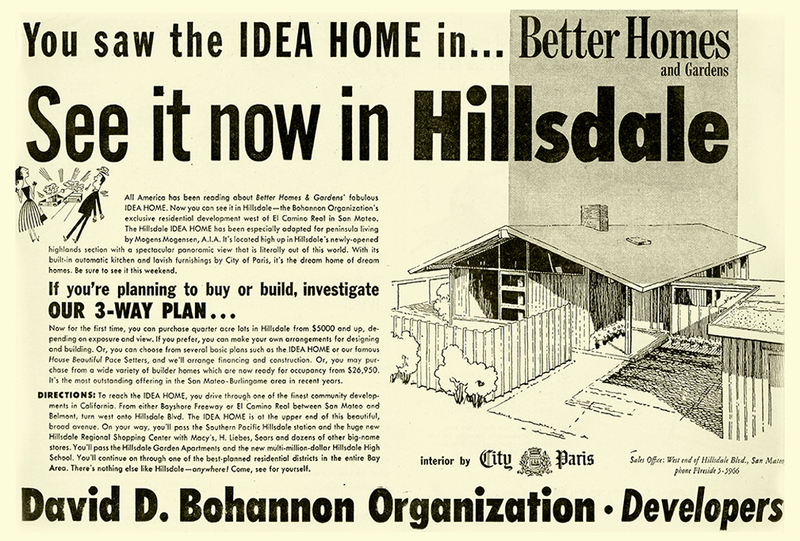 Mogensen also won press that year for the 'Idea Home,' in the Bohannon development of Hillsdale Highlands, just up the hill from Bohannon's new Hillsdale Mall. Mogensen's design was adapted from the original plan by architect Hugh Stubbins, who was commissioned by Better Homes and Gardens to create the house design, which was at the heart of the magazine's national 'Idea Home of the Year' campaign for 1955. The home featured "new ideas in American home planning, decorating, remodeling and landscaping," the San Mateo Times reported of Mogensen's version of the 'Idea Home,' which drew 12,000 people to Bohannon's open house. 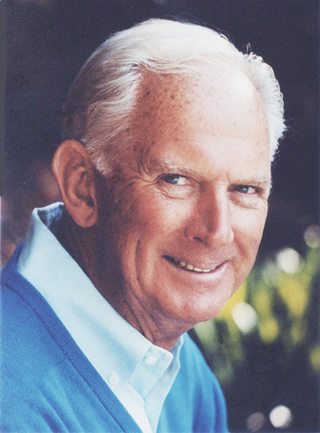 Mogensen ran his architectural office, with between five and 10 people, from a Victorian house converted to studio in downtown Burlingame, not far from one of the Peninsula's few Danish restaurants, coincidentally, says his son Tom Mogensen, a San Francisco muralist. Born in Denmark, where he studied architecture, Mogensen had early success, winning awards for designs for a school in Malmo, Sweden in 1945, and a City Hall in Sweden, where he lived for a time.